What are the chances that I really have a hearing loss? According to the National Center for Health Statistics, 36 million (17%) American adults have some degree of hearing loss making it a public health issue third in line after heart disease and arthritis. 1/3 of those over the age of 65 have hearing loss. 65% of those with hearing loss are below retirement age. Men are twice as likely than women to have hearing loss. At least 1.4 million children 18 or younger have hearing problems. It is estimated that three in 1000 infants are born with serious to profound hearing loss. When should I have a hearing exam? Ideally you should have an annual hearing exam by a professional, licensed hearing healthcare practitioner. If you are experiencing problems in 3 or more of the following situations, get an exam as soon as possible. You turn the television up more loudly than others in your home find comfortable. You have difficulty understanding speech in a group or crowd and often ask people to repeat. You misunderstand parts of a conversation and believe the subject is something other than what is being discussed. You make a statement or ask a question during a conversation and someone says, "we just talked about that", or "he just answered that question". You must have the closed captioning on while watching television in order to understand the subject matter. You have difficulty hearing your telephone or doorbell. Your family members or friends tell you they notice you aren't hearing as well as you once were. Won't I look old wearing Hearing Aids? Most people associate hearing loss and wearing hearing instruments with advanced age. The truth is that 65% of the 36 million Americans with hearing loss are younger than retirement age. That is hardly old. The fact is that hearing loss is not visible, like crutches, a cast or a wheelchair. You look old when you don't understand part of a conversation and don't respond appropriately. Others often don't realize you have a hearing loss. They may think the problem is cognitive, associated with dementia or early onset of Alzheimer's. Medicare does not cover the cost of hearing aids. More health insurance companies are covering hearing aids. Whether your insurance company covers hearing aids and the details of that coverage are based on the plan you selected or your employer selected. We call your insurance company for you to determine if you have a benefit for hearing aids and the details of your coverage. If you do, we file the claim for you. If we happen to be out of network for your plan, in most cases we are able to keep your out-of-pocket cost the same or even lower than the in network locations. Most insurance companies are happy to work with us because the cost to them and to you is much lower than average. What are realistic expectations when wearing Hearing Aids? Everyone's expectations for using hearing instruments are different. Unrealistic expectations can lead to frustration. 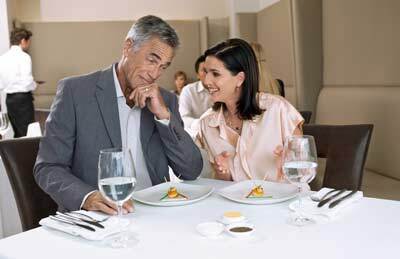 There is a fine line between expecting too much out of your hearing aids and having appropriate expectations. For example, expecting that your hearing will return to "normal", being like it was before your hearing loss, is not a realistic expectation for any hearing aids. Expecting to have significant improvement with hearing speech is realistic. Expecting to understand all speech in every situation is also unrealistic for any hearing aids. It takes time for your brain to re-learn how to understand what it is hearing. With hearing loss, your brain forgets how to understand certain speech sounds. You will likely hear everything, but understanding conversation in a variety of situations usually takes time. Remember this is a process, not an event and patience is the key. It is similar to not using a muscle for several years, the process to return the muscle to normal functionality takes time. We assess your hearing loss, lifestyle, relationships, health, occupation, goals, dexterity issues and hobbies when selecting the most appropriate technology and features to ensure the greatest possible positive hearing experience.